By page 5 I knew that I loved this novel. Great title, even better cover art. 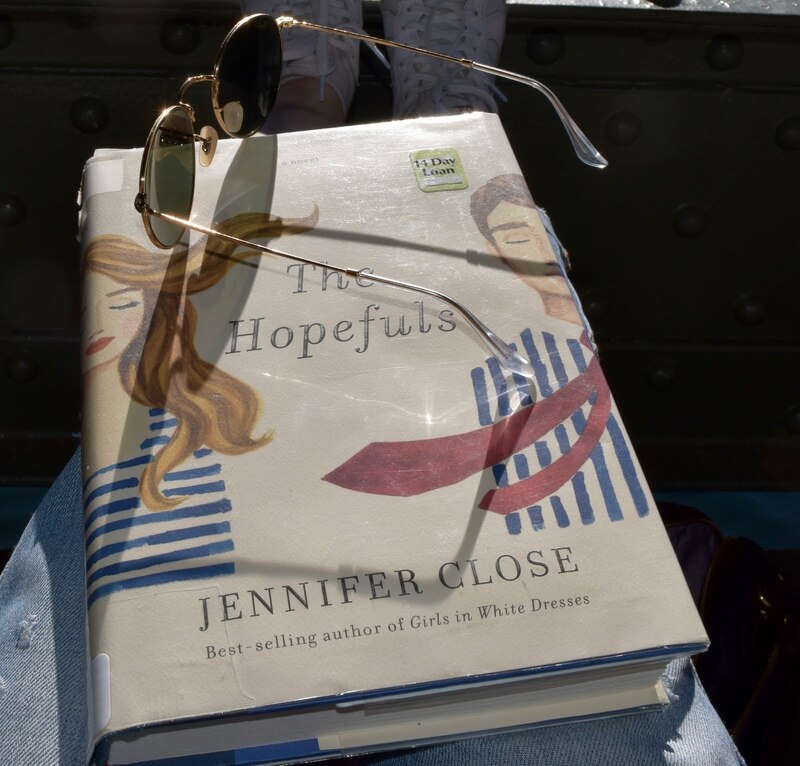 In The Hopefuls, Jennifer Close weaves a captivating and engrossing story with insider information about the Barack Obama 2008 and 2012 campaigns. 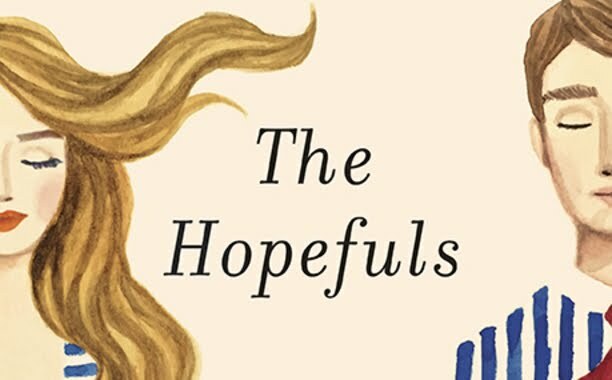 Set in New York City, Washington D.C., and Sugarland, Texas, The Hopefuls exposes the drama, the egotism, and the raw desire that underlies the idealism present in politics. An electric tension emerges, one that shines light on the hidden, darker parts of her characters' personalities, and commands them to act on these impulses, like a wizard with a wand casting a spell. "'We went to a dinner party,' Beth says, 'where everyone - I swear to God - went around the table and announced their level of security clearance.'" In the beginning, before the city grows on her, Beth admits, "I hated everything about D.C." Close obtained her MFA in Creative Writing at The New School, which has recently turned out other effortlessly talented writers like Stephanie Danler. In this novel, Close has composed realistic relationships between her characters. The writing is pointed, accurate, and funny: "When a friendship ends, people don't always give it the same amount of thought that they do relationships...most of the time, friendships end in a different way - slowly, and without declarations. Usually people don't really notice until a friend has gone for a while and then they just say they grew apart, or their lives became too different." 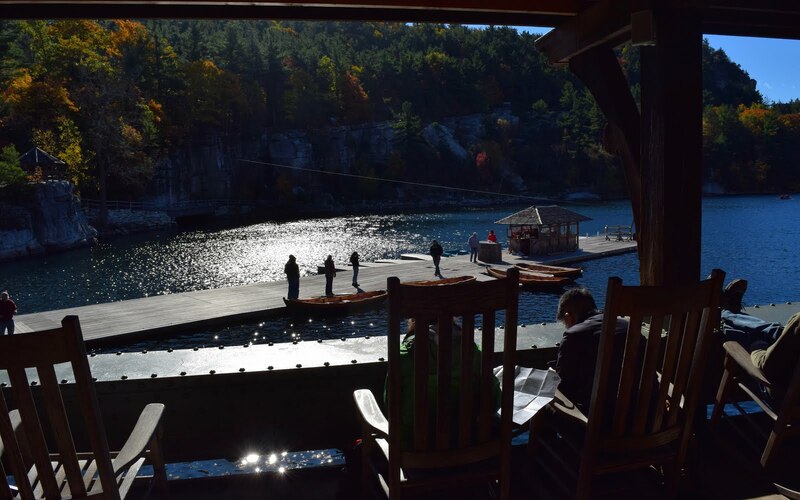 I read through the novel quite quickly (as you can see, I brought it with me to read on a Sunday spent on Lake Mohonk). Though I really liked this novel, that is not to say that there were not certain elements and parts I would have edited or restructured. The protagonist, Beth, is passive in certain areas of her life and rather than choosing to evolve, she decides she likes others determining her decisions. I wish that the resolution of the story were fuller. I left feeling that I wanted more of the characters, more of the story, but Close explained that she thinks it is done and will not be pursuing a sequel of any sort. 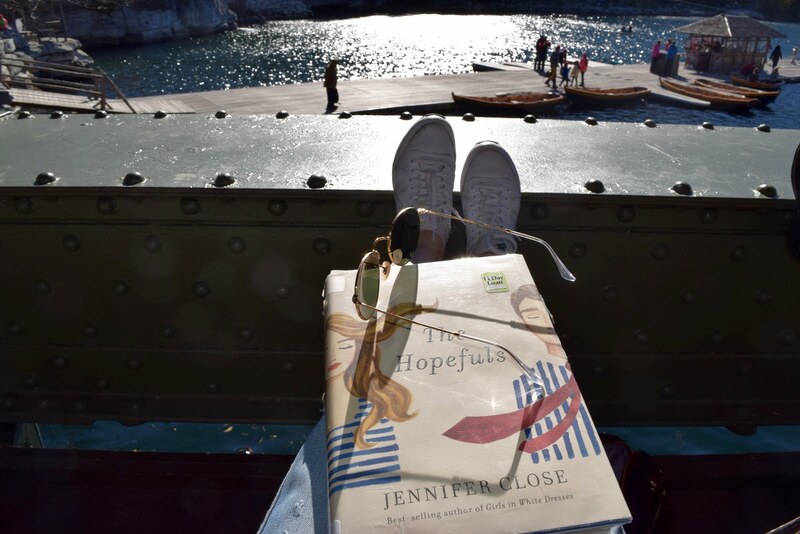 If you are looking for an enjoyable read that is witty, acerbic, and, for lack of a better descriptor, juicy, The Hopefuls is a solid choice.